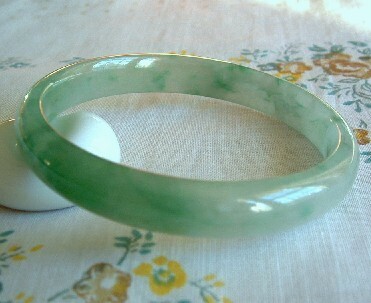 -translucent highly polished Chinese Yunnan jade bangle in mottled, fresh bright green hues. 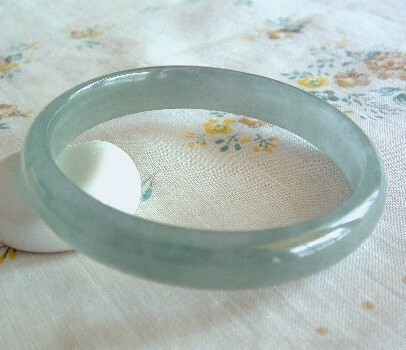 Can be worn along or paired with its "sister bangle", Lovely happy. 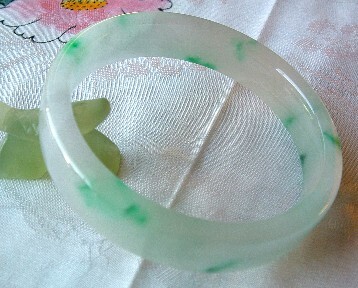 Chinese Yunnan Fei Cui jade. fresh green accents. One-eighth section is dense with lavender and deeper green tones. Multidimensional, adaptable, distinctive. 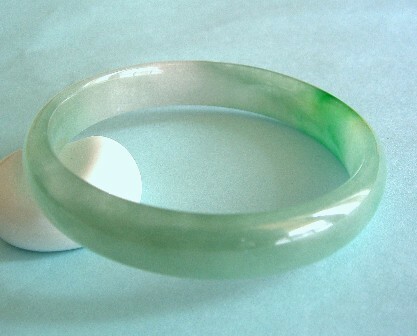 Slightly curved inside, thinner, fei cui bangle is highly polished and very translucent in lovely, marbled, silvery blue-green hues with some veining, Soothing, pure, ethereal. Slightly curved inside, easy to wear thickness, nicely translucent in silver-green blending into a fresh green hue with bright green and golden accents. Lively, intriguing. 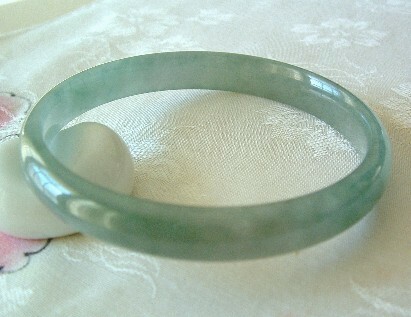 Slightly curved inside, thin, nicely translucent and sparkle with crystalline mottling in classic silver- green Jade hues. Relaxing, refreshing, healthy. 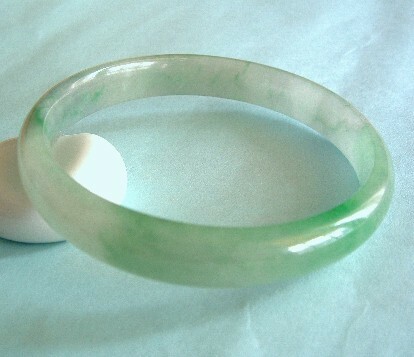 In my “Happy Jade Store” I am able to feature quality Jade at reasonable prices because my Chinese heritage, friends, and associates connect me to the right resources. I travel to China twice a year in May and September with our Health Trip groups (See “Health Trip to Beijing China” page.) 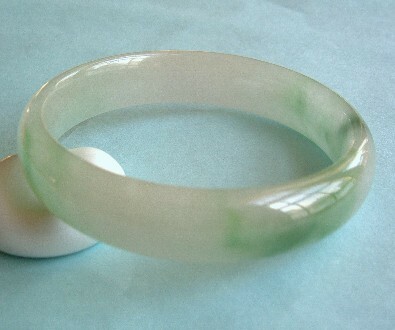 During the month after these groups return to the US, I spend time in Beijing, Shanghai, southern China, Yunan, and the China/Burma border area reuniting with old friends and associates and establishing new contacts to find, hand-select, and purchase beautiful Jade, jewelry, and fin Chinese arts. So, for MY China Sky Mall's “Happy Jade Store” And “Chinese Arts” showcases. 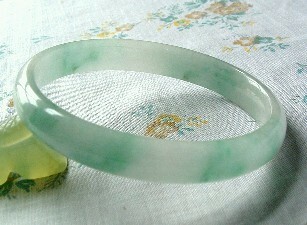 Most of the Jade items I am selling are fine, Burmese fei cui Jade (Jadite) I purchased on the China/Burma border. Since Chinese is my first language, I have a distinct advantage when dealing with the Jade industry’s manufacturers and merchants. Quality will not be comprised or misrepresented due to errors in communication or translation. I know the customs, and I have the savvy to successfully do business in this market. 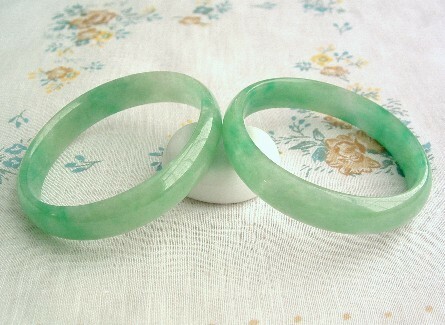 You can be confident that the beautiful Jade you buy from me is natural, high quality, finely finished Jade selected from the stocks of merchants close to the source. This advantage means I can price items reasonably, offering you the best value for your dollars. I hope these gifts of beauty, health, and value will bring you much pleasure.